Zoli Z-Bella Ladies Competition Shotgun from Antonio Zoli of Italy. We are passionate in the belief that female shooters deserve a gun especially designed for the female form – to compliment the subtle differences in stature that can translate to poor gun-fit when using models designed and built to fit the male body. We have spent two years developing a brand new ladies’ shotgun, the highly-anticipated Z-Bella. Specially designed to meet the requirements of the female form, the gun is carefully embellished with eye-catching Swarovski crystals. The Z-Bella is attractively presented, without sacrificing the technical nature of a product dedicated to competitions. All stock dimensions have been specially adapted to cater specifically to the structural needs of the female form, including the pistol grip, drop, length of pull, pitch and cast, with each stock equipped with an adjustable comb. Available only in 12 gauge, the Z-Bella comes in a flat tapered rib with a choice of 28”, 30” or 31” barrel lengths, and with five interchangeable flush fittings or ¾ inch extended chokes. Upon request, the Z-Bella is also available in a mid-step rib or in a high adjustable rib in 30” barrel length. The Z-Bella is offered in either a silver or black action, boasting elegant deep scroll engraving to the frame, tastefully embellished with Swarovski crystals. The Z-Bella comes equipped with BHB (Between Hands Balancer) in the pistol grip, a dynamic corrector used to customize and tune both the balance and swing dynamics of the shotgun. Around the BHB stock, Swarovski crystals encircle the iconic Z-Gun logo, a symbol of the prestigious Zoli Z-gun range. 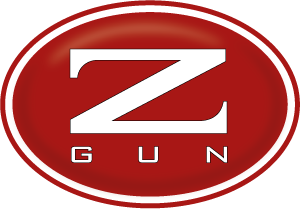 As with any Z-Gun product, the Z-Bella is equipped with a Boss type locking bolt, monolithic frame, silver soldered barrels, removable trigger mechanism with titanium coated components and lubricant springs, and bushing firing pins.